The NY Route 110/I-495 (Long Island Expressway) interchange is a major transportation link to one of Long Island’s largest and most vital business districts. 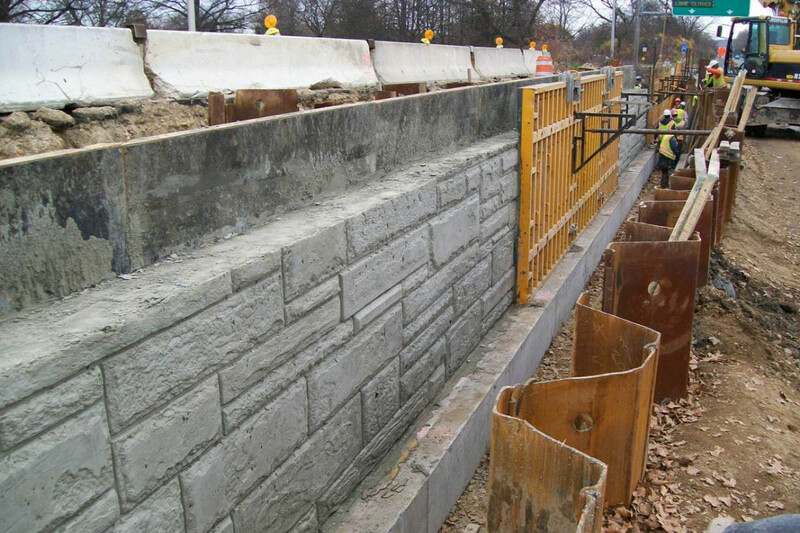 This Bridge Reconstruction project was the first in a series of three major projects in the Route 110 corridor to provide safety and mobility improvements. The groundbreaking for this project was done in July 2009 with construction slated for completion in November 2011. 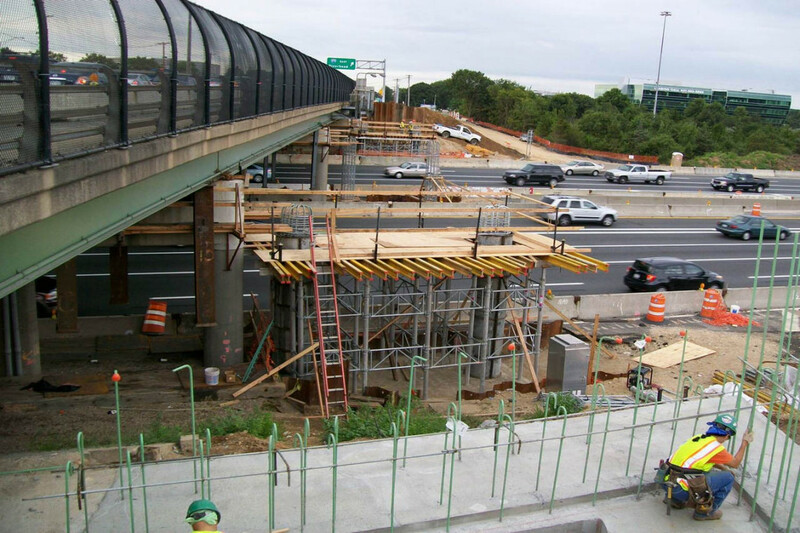 Project innovations and efficiencies enabled the project to be opened to traffic in October of 2010, over a year early. These enhancements resulted in a modest reduction in overall contractor costs but a significant savings in construction management costs – in excess of a million dollars. In addition, travel costs in terms of time and fuel costs were significantly reduced for the motorists who use this interchange every day. The project was heralded by local stakeholders as a significant transportation improvement as well as an economic boost for local retailers, restaurants, and the work force that commutes daily to and from the major office complexes in the corridor. 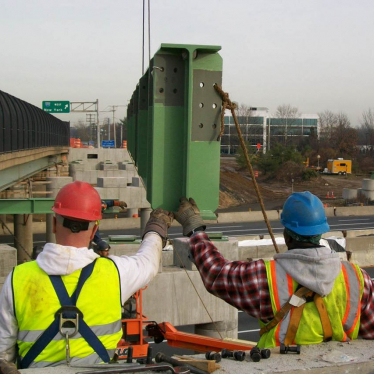 This $27.9 million dollar project reconstructed both Route 110 bridges over the LIE to improve vertical clearance for trucks and provide three full travel lanes in each direction on Route 110. This improvement eliminated a major bottleneck in the corridor. Additional improvements included reconfiguring the entrance and exit ramps along with the service roads to improve safety and traffic flow. Working at an interchange that handles 100,000 vehicles a day poses many construction challenges. Work was performed both day and night. Night construction required the closure of the LIE and detouring traffic onto the service roads. 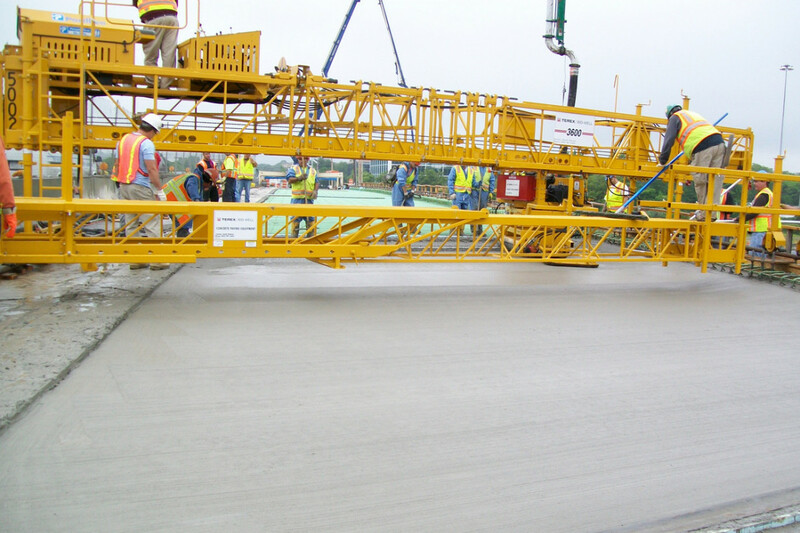 Construction staging was reviewed using Critical Path Method (CPM) techniques and several modifications were made to reduce the number of night time closures and shorten the project schedule. In addition, critical saving in construction time was achieved by working on both bridges simultaneously. Initially, the contractor was restricted to working on one bridge at a time to accommodate pedestrians. However, the pedestrian volumes were extremely low and a creative solution to accommodate pedestrians was utilized. This involved the provision of free taxi service for pedestrians crossing the bridge. 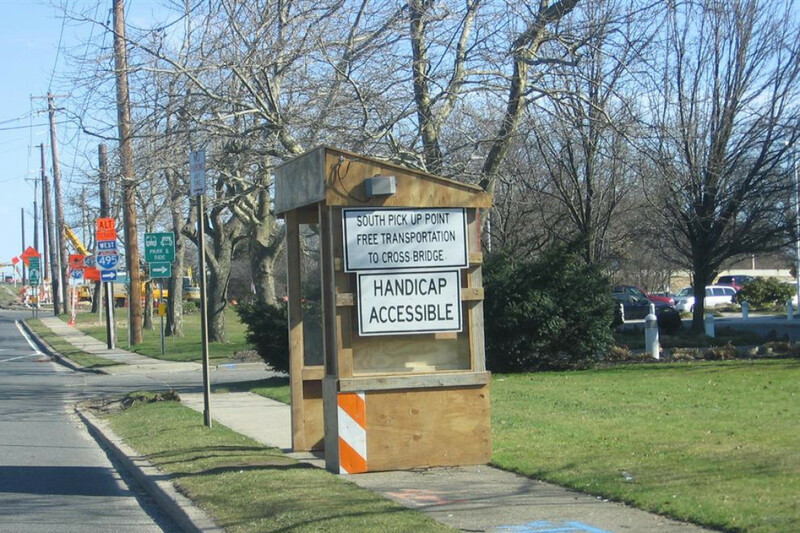 This innovative concept is now being employed at other bridges on the LIE such as the Exit 55 Motor Parkway Bridge in Suffolk County. Other key time savings measures were employed. 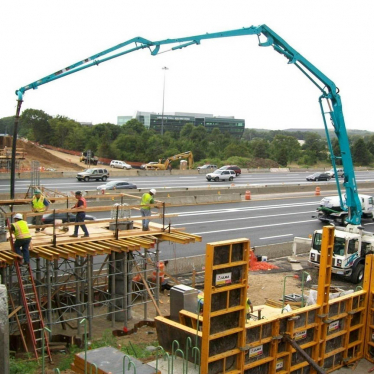 These included the use of an excavator with a hammer instead of a traditional crane to drive steel sheeting where overhead utilities were a restriction and couldn’t be moved immediately. This resulted in a time savings of two months. An additional two months was saved by modifying the detail for retrofitting the existing bridge pedestals.